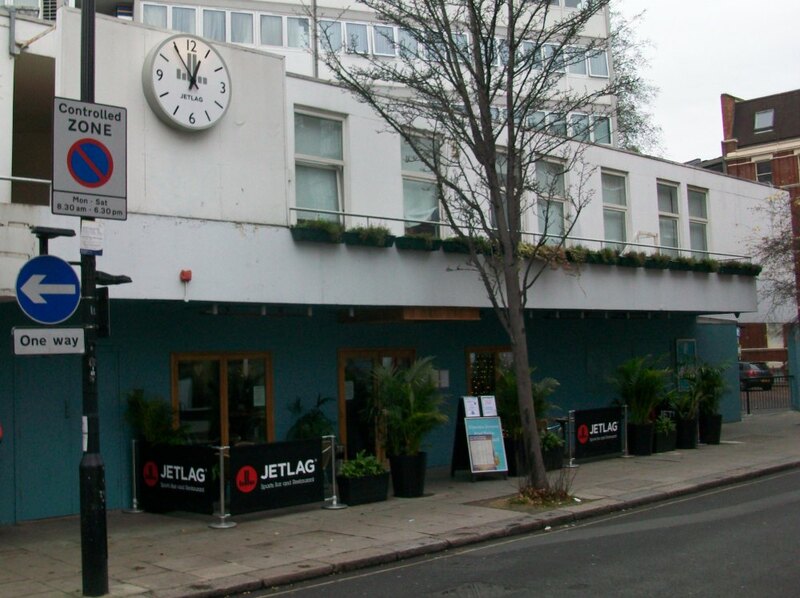 Jetlag Sports Bar on Cleveland Street underwent a licence review by Westminster council after noise complaints. Westminster council has cut back the opening hours of a sports bar in Cleveland Street after examining complaints from residents about noise nuisance. The council’s licensing sub-committee conducted a formal review of the premises licence of the JetLag Sports Bar in December. The committee concluded that while the premises was not badly run it did cause a nuisance to some residents. Ms Denise Julien a resident of Holcroft Court had applied for the licence review because of nuisance caused by noise escaping from the premises, customers shouting while watching televised sports, noise from outside of the premises, and noise from customers leaving late at night. In her application she suggested a number of conditions be applied to the licence and a cutting of the late night opening hours, but she did not ask for the licence to be revoked. Westminster Council’s Environmental Health department, 15 local residents and two residents associations supported the review of the licence and wanted to see action taken to control the noise nuisance. The licensee Mr Scott Wilson had urged local residents and community groups to come to his support with a note on the bar’s website and he was featured in an article in the pub trade newspaper, the Morning Advertiser. Westminster Council recorded 55 interested parties including 22 local residents/workers in support of Wilson. There was also a petition collected in support of Jetlag. However, the petition incorrectly stated that there was “real risk” that Westminster council would force the bar to close. Nowhere in the licence review application did it state that there was a desire to close the bar. In fact Julien stated clearly in the application that she was not against the licensed premises and only wanted to see it operating appropriately in a residential area and suggested a number of conditions on the existing licence. Ahead of the review hearing Wilson offered to accept conditions to be added to his licence and also offered further remedies including removing the tables and chairs from outside the bar and extra sound insulation to address concerns about noise nuisance. During the review hearing which lasted around six hours at Westminster City Hall several witnesses were heard and video evidence was seen by the licensing sub-committee of Councillor Audrey Lewis (Chairman), Councillor Nick Evans and Councillor Ahmed Abdel-Hamid. Cleveland Street resident Ms Susannah Davis spoke about her experience of being disturbed late at night, in the early hours of the morning, and often during the day particularly during sports matches by customers sitting at tables outside Jetlag. However the co-chairman of Holcroft Court Residents Association spoke in support of Jetlag. He said that he had not received complaints about the bar. He accepted that he was too far away from Jetlag to be affected by noise in his flat but he did walk past the bar at different times of the day and evening and did not observe disorder or drunken behaviour. The management he believed were perfectly sensible. Members of the licence sub-committee had to deal with a number of issues relating to the operation of the premises. There was a discussion about why the premises was allowed to stay open long after sale of alcohol had ceased. Sale of alcohol ended at midnight on Fridays and Saturdays but the premises stayed open until 2.30 in the morning. This would mean that the licence would be adjusted so that when sale of alcohol finished at 23.30pm Monday to Thursday, customers would have to leave by midnight; and on Fridays and Saturdays when alcohol sales ceased at midnight, customers would have to leave before 12.30am. The committee also heard that Camden residents living opposite Jetlag had had difficulty in getting their complaints registered with Westminster Council because they lived in a different borough. Camden residents have to contact the Camden noise team who will then pass the information on to Westminster’s team, as Camden cannot take action against a Westminster premises (and vice-versa). Jetlag can still apply for TENs that finish in the early hours of the morning, and only Westminster’s police and environmental health officers can object to these. Police will take into account previous reports of crime, and environment health will look at the history of the venue’s noise complaints. However, there are no allegations of criminal activity at Jetlag. Ms Denise Julian told Fitzrovia News she was pleased with the council’s decision. “125 Cleveland Street has a long history of being a nuisance to local residents. So when Jetlag came along wanting to obtain a licence for a bar and restaurant, it was only granted on the strict understanding that there would be zero disturbance to nearby residents. Unfortunately, that was not the case. Jetlag made more noise then its predecessor South Side when it mutated into a sports bar, and so, a licensing review was needed. “Some people thought that Jetlag were going to be closed down, which was never the case. Licensees know very well that a premises will only be closed down on its first review if there is criminal activity. Nowhere did the application ask for the closure of Jetlag. It simply asked for measures to ensure residents are not disturbed. Because of the strong evidence, Jetlag initiated many of the changes themselves, which included internalising the entire operation and building an acoustic lobby. And things have been very much better since,” she said. Mr Scott Wilson owner of Jetlag declined to comment as there are outstanding issues from the review to be resolved. Ms Denise Julian (Applicant), was represented by Mr Leo Charalambides (Counsel, representing the Applicant) and Mr Richard Brown (Citizens Advice Bureau Licensing Advice Project). Mr Scott Wilson (Licensee) was represented by Mr Philip Kolvin QC (Counsel, representing Licensee), Mr Marcus Lavell (Barrister, on behalf of the Licensee). Westminster City Council licensing sub-committee report.